You have to be a halfway decent speller anyway to be able to use a spell-checker. Your attempt has to be close enough to be recognised by the software and where there is an option, you have to be able to choose the right one. You also have to cope with homophones and other real-word errors on your own. See Spell checkers, how useful are they? for more on spell-checkers and an activity to train learners to use them well. Autocorrect is more of a problem for both learning and meaning. This "corrects" your spelling automatically without you noticing it. So there is no opportunity to learn. Autocorrect may even turn it into the wrong word - not the meaning you intend - but it will be spelled correctly! For fun and examples of spell-check correction problems, read Ode to a Spell Checker. Can you find and correct all the mistakes spell check made? This is a course of lessons and practice on the system of English. It is divided into eighty-six sections. 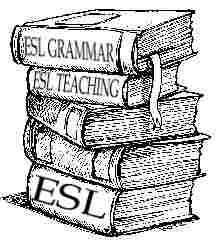 Each section covers an area of basic grammar and contains a number of exercises. The exercises are not all the same length. Some exercises have only five questions, but others have up to nine questions. This is because some areas of grammar are more important than others. his course tests your knowledge of English grammar and, more importantly, it gives you practice in using your knowledge to make correct and appropriate sentences. When you do the exercises, you will see that grammar is not just a game. Grammar has meaning - if you change some of the grammar in a sentence, you also change its meaning."